To live, every being must put out a line, and in life these lines tangle with one another. This book is a study of the life of lines. Following on from Tim Ingold's groundbreaking work Lines: A Brief History, it offers a wholly original series of meditations on life, ground, weather, walking,... read more imagination and what it means to be human. 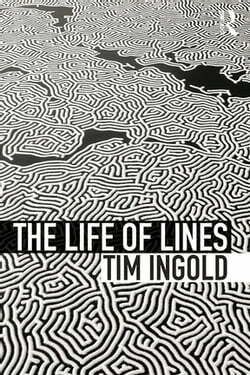 In the first part, Ingold argues that a world of life is woven from knots, and not built from blocks as commonly thought. He shows how the principle of knotting underwrites both the way things join with one another, in walls, buildings and bodies, and the composition of the ground and the knowledge we find there. In the second part, Ingold argues that to study living lines, we must also study the weather. To complement a linealogy that asks what is common to walking, weaving, observing, singing, storytelling and writing, he develops a meteorology that seeks the common denominator of breath, time, mood, sound, memory, colour and the sky. This denominator is the atmosphere. In the third part, Ingold carries the line into the domain of human life. He shows that for life to continue, the things we do must be framed within the lives we undergo. In continually answering to one another, these lives enact a principle of correspondence that is fundamentally social. This compelling volume brings our thinking about the material world refreshingly back to life. While anchored in anthropology, the book ranges widely over an interdisciplinary terrain that includes philosophy, geography, sociology, art and architecture.